What?! You haven’t heard of [insert obscure podcast title here]? It’s the best! You’re totally missing out! Why do we do this to each other, Betsy? You’ve found pure gold—hours and hours of auditory bliss, perfect for the long commute, drive into the mountains, whatever—so why do you hoard it to yourself? Is it so this exact conversation can transpire? 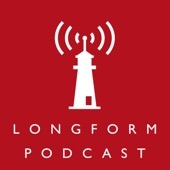 So that you get a chance to rub your podcasty-friends’ noses in your gorgeous little find? How cruel! Why wouldn’t you just fire off a text (you’re probably on your phone anyway) the minute you find said podcast? We think there’s even a Share button now. Honestly, Betsy. Anyway, that’s what this post is about. We’re not going to be Betsy to you, dear reader. Here are 5 podcasts that you should get a jump on—new and veteran alike—because your earbud-happy friends are probably going to be gushing about them to you within a week. Or tomorrow. It’s cheeky. It’s witty. It’s all about words. Did we mention the host is British? Why aren’t you scrambling for your headphones? 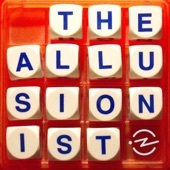 The Allusionist is put on by a fellow word nerd (we identify that way) who answers a slew of questions about the English language. Get the answers to questions about words—the kind you’ve had bouncing around in the back of your head and forgotten about—like why some swear words are worse than others, the history of words, and cultural tie-ins too. Get your word on! We probably don’t need to do much explanation beyond “This is a podcast about books,” but here goes. 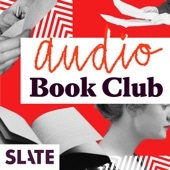 The thing about book podcasts is that they’re sometimes a little too polite. Not this one. The hosts of the show get heated, they get real, and they don’t beat around the bush. Plus, they review everything from new books (like Hillary Clinton’s What Happened) to Julius Caesar’s Lend Me Your Ears (the most recent episode at the time of this post). Episodes air once a month, the perfect cadence for something as packed as a book debate. It’s the hook. It’s the split-second glance someone gives your title. It’s writing a headline, a first paragraph—heck, a first word—that’s a real zinger. 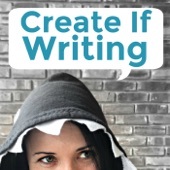 This podcast features conversations with non-fiction writers, questions which unearth some of the trade secrets of the profession while also revealing scintillating, deeper musings about the nature of being a writer. Sponsored by the Writing Program at the University of Pittsburgh, this show is essential for anyone who puts a nonfiction story to paper. If you’re at all concerned about current affairs (are you, Betsy? ), then why not get a jump on what’s coming up? You know that moment, the moment you pull up your newsfeed and go “What? That’s happening already?” Yeah, we hate that moment. 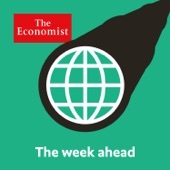 This podcast from The Economist is all about teeing up what’s to come so that you can anticipate, tune in, and if you write about current affairs at all, plan ahead. If you’ve ever hit “publish” on a piece of online content (or plan to), Create If Writing promises to boost your ability to deliver rich, engaging, potentially viral work. The show balances the necessities of digital marketing—Facebook, Twitter, list building—with interviews with creative professionals, writers, and successful bloggers. The sum total is the kind of critical information that can help you juggle the dual nature of blogging—it’s as much about craft as it is ensuring that your hard work actually gets seen.